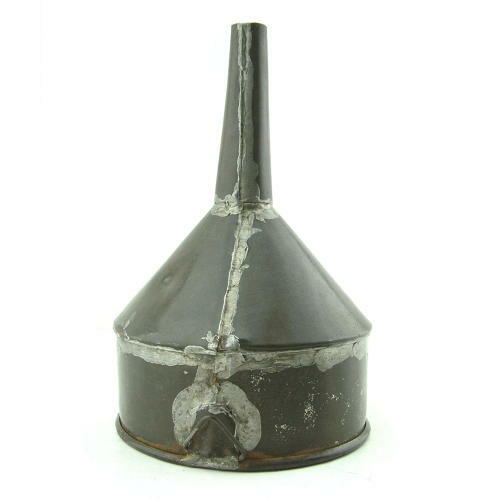 White metal funnel approximately 20cm in length x 13cm maximum diameter. Soldered construction with mesh filter at the base of the 'bowl'. Folding hanger to one side. King's crown Air Ministry stamp and 1940 date marked. Probably used on a wartime airbase for filling motor vehicles with oil or fuel. Lovely period item. Stock code M22572.